My heated entrance into online publishing has proven a tepid success. 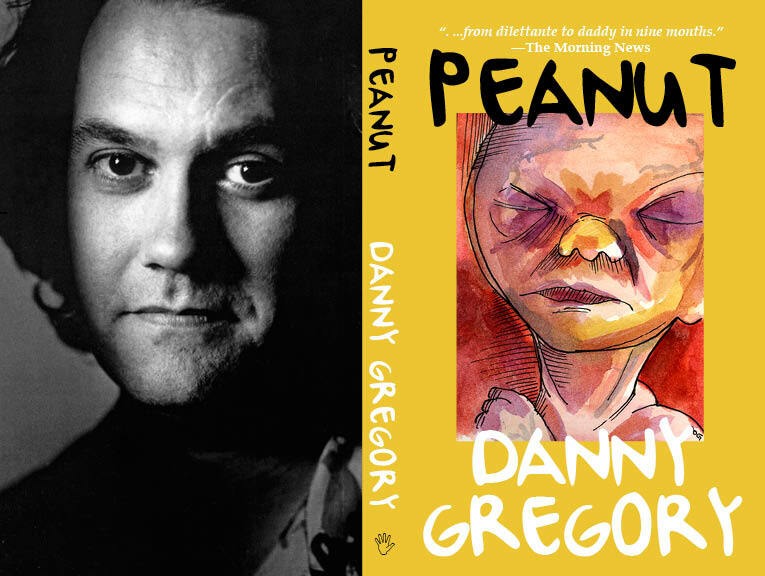 So far, a small handful of excellent people have bought the paperback of my masterpiece, Peanut, despite the shipping costs. And, as for the Kindle version that was so loudly demanded by some, well, the electrons are still taking up space in the virtual warehouse. Apparently a few lovely English people (probably distant relatives) have downloaded it but I have yet to hear from them either. I’m not griping, just chastened. The funny thing is, this book is really good. I know I’m biased but those who have read it have been ridiculously effusive about it. Nonetheless, my dreams of sitting on a tropical island prodigiously writing books and uploading them directly to my readers without a publisher’s craven intervention, seems to be dimming. In a last ditch effort to get it into a few more hands, I have squeezed my partners at Blurb and Amazon and lowered the price on the paperback and ebook versions. If the price is still too high to be worth your while, well, then I give up. Actually, I dont really. I’ll be releasing another book, a completely different one, in the next day or two, using the same channels to get the book out. Hope springs eternal and I’m a dreadful entrepreneur. And as an ebook on Amazon. PS If you bought Peanut at the original price and now feel like you were ruthlessly conned, send me a note and I’ll try to make it up to you. $8 shipping for a $10 book!!! Nope. Then I thought that I might add a book to the purchase. But here is the most “WHAT” moment in my long history of on-line book purchasing: Blurb does not ship black and white only books together with four color books – they must be ordered & shipped separately (think a zillion !!!). Ouch. Blurb is revealing itself as a drag for all but the most die-hard. As for your Sony reader, I can create other e-formats of the book if that’s truly what’s holding people up from buying it. I downloaded the sample of Peanut for my Kindle today and will read it (and likely buy it…) when I’m finished with the book I’m currently reading. It sounds promising and affordable. Keep the faith and don’t stop living your dream. Danny, I do want to order a copy. Should it be purchased through Amazon or is there a more direct link to you? The postage was steep. I figured I’d spend that much in gas if I had to go to a bookstore to buy it. Digital editions in Adobe epub format would be terrific. Our library does ebook lending in the more general epub format. Kindle format is so limited to Amazon. Your books will take off. It’s always a matter of time. I think it just needs more time, but bringing it up is a good idea. I want it, but I’m in Australia and can’t decide between digital or delayed gratification for a physical copy. I will buy it. I think it is a good idea to release your own books directly, but there might be a longer ramp up. I bought peanut on kindle from Amazon. It is a good read, refreshingly honest and very amusing. I want Peanut…I have all of your earlier books. I tried to buy it today from Blurb but the continued “stalling” of the pages and other site crankiness made me realize that today isn’t the day. Then I read the comments above and did wince at the shipping price. It’s expensive…but I’ll still get it. You and your art and your expressions have contributed immensely to my life. I sense that’s true for many others, as well. You have the audience…the economics and other details are the trials of the entrepreneur, as you suggest. You know what Thoreau said about his own large library. P.S. Though I don’t know if you can write interesting books that relate to” Everyday Matters” sitting on a Tropical Island? Personally I could not relate to that at all and I really don’t want to. Just bought Peanut for a new dad and yes…the shipping cost was awful. Wonder why they can’t use “book rate” to get cheaper costs. must be a better way to do it. I’m sure I’ll enjoy it, as will the new dad.